A balloon hovercraft made using an old CD? This is one experiment you may have to try for yourself before you believe it. Cover the center hole of the CD with a piece of tape and poke 6-10 holes in it with your push pin. The fewer the holes, the longer your hovercraft will hover. Using a hot glue gun, glue the water bottle cap to the center of the CD. Be careful to create a good seal that won’t allow air to escape. Blow the balloon up as much as you can and pinch the opening closed. (Don’t tie it!) Have the pop-top water bottle closed and fit the neck of your balloon over the opening. You might need a friend to help you with this part. To get your craft to start hovering simply put the CD on a smooth, flat surface and pop the top open! Here is a video of the hovercraft in action. 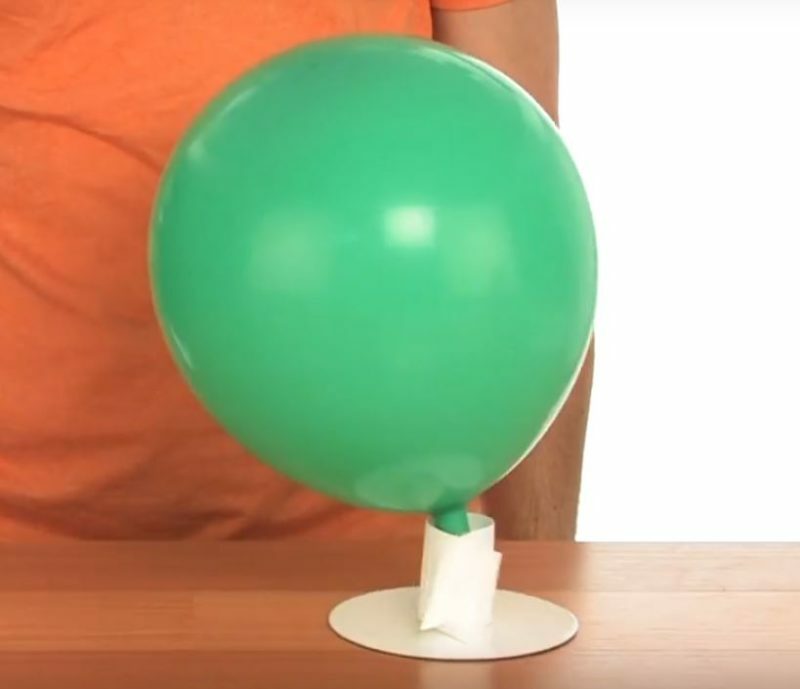 The air escaping from the balloon creates thrust and causes there to be a cushion of moving air between the disk and the table top. This air cushion lifts the CD above the surface and reduces the friction, allowing it to hover freely above the table. Large scale hovercrafts rely on the same scientific principles to be able to travel over land, snow and water.